This little app can be a very good friend while you practice your songs. However, you may feel like it goes sometimes little faster, or little slower. Don’t worry, it is not broken. Just speed up or slow down to keep the pace with the metronome. 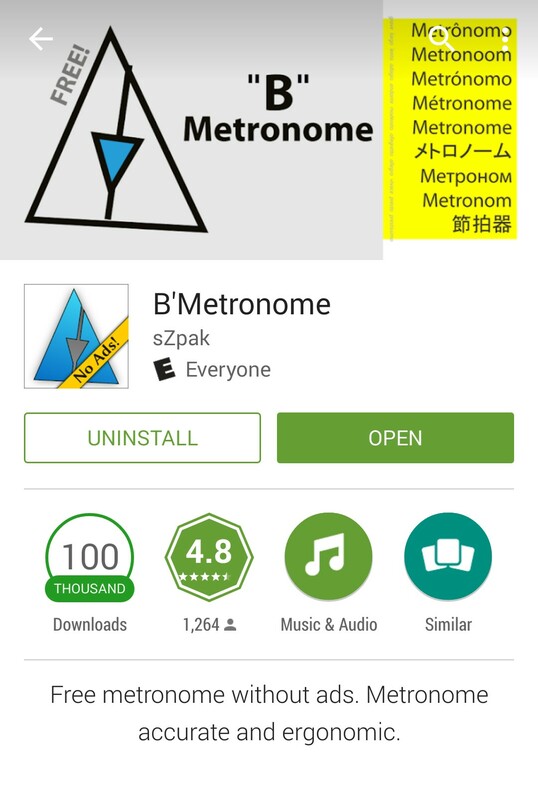 There are many metronome apps, and this is the one we use at the studio. To download the app, just click on the image. It will open the new page for the app. This is an Adroid app. Do you know any good Iphone app for metronome? 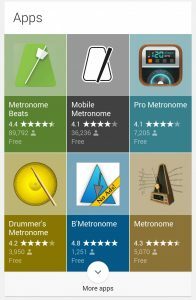 Or do you have any suggestions regarding good, reliable metronome apps?